Since his year-launching ‘Lost Without You’ alongside singer Kate Miles, Craig Connelly has punched out one clubfloor-whacker after another. Frankly, if ‘This Life’ or ‘A Reality’, ‘Trouble In Paradise’ or ‘New York Sunday’ haven’t found their way to your ears, we venture you’re not leaving your bedroom enough! With ‘Lost’ quenching some vocal thirst, Craig’s next outing sees him expand the bandwidth to add another instrumental earthmover to his 2018 canon. 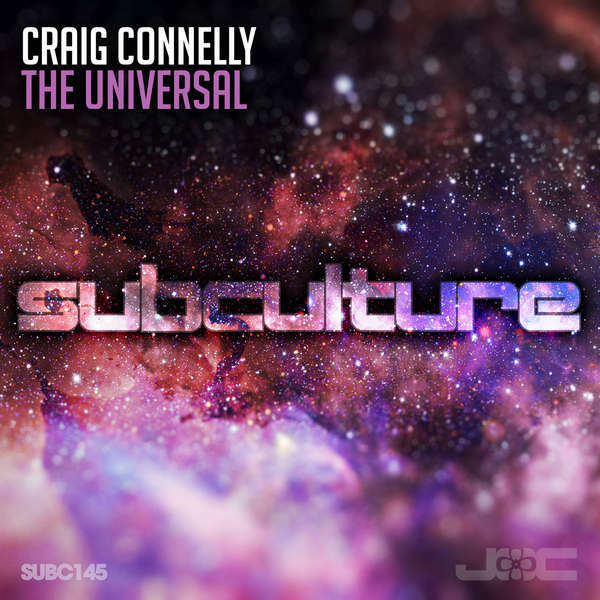 To Subculture have fallen those spoils, and Craig’s ‘The Universal’ gleams into existence today. As ever the Mancunian producer brings an innate sonic balance to the track. He splits its airtime between heartfelt harmonies, mellifluous melodies, smartly constructed sequences and generating the kind of gravity-defying synth uplift that’d have Sir. Isaac Newton back at the drawing board.